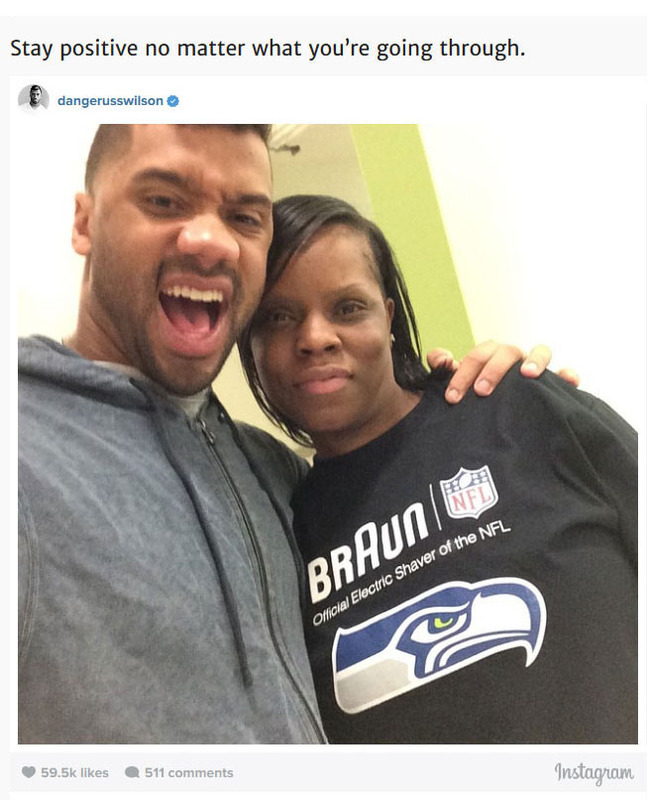 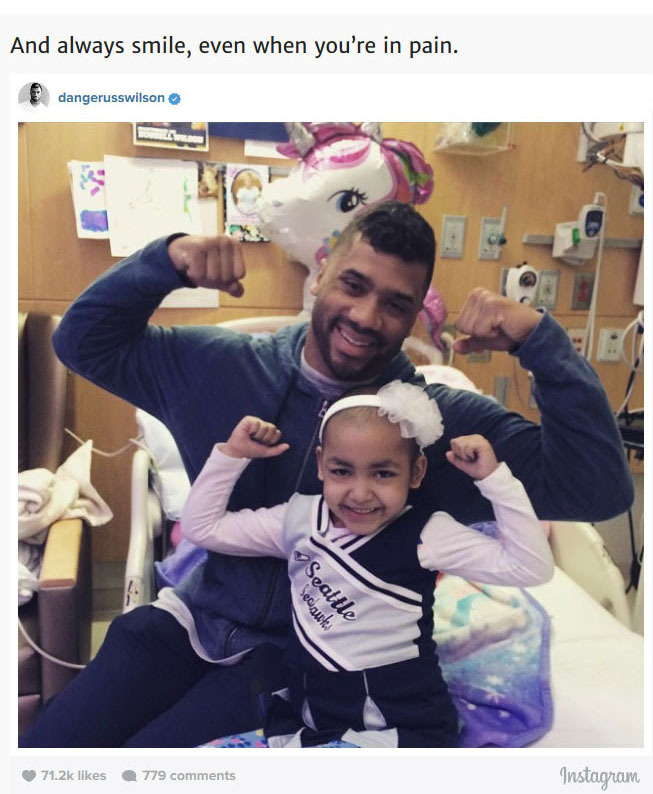 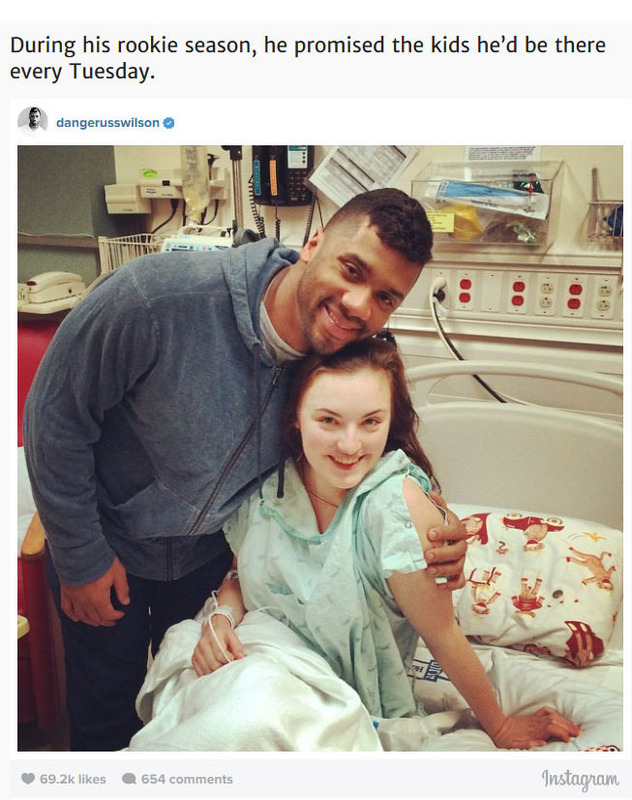 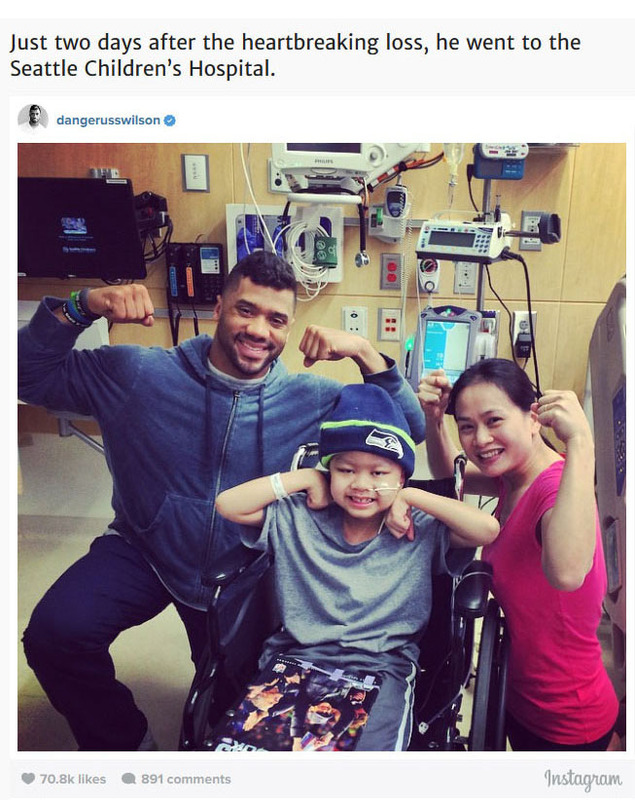 Russell Wilson and the Seattle Seahawks may have lost the big one at the Super Bowl but that certainly didn't bring him down. 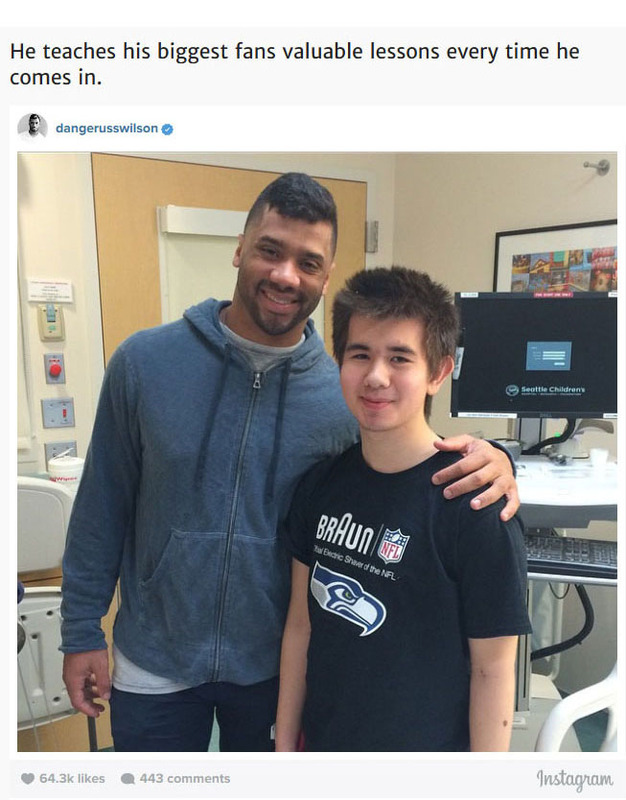 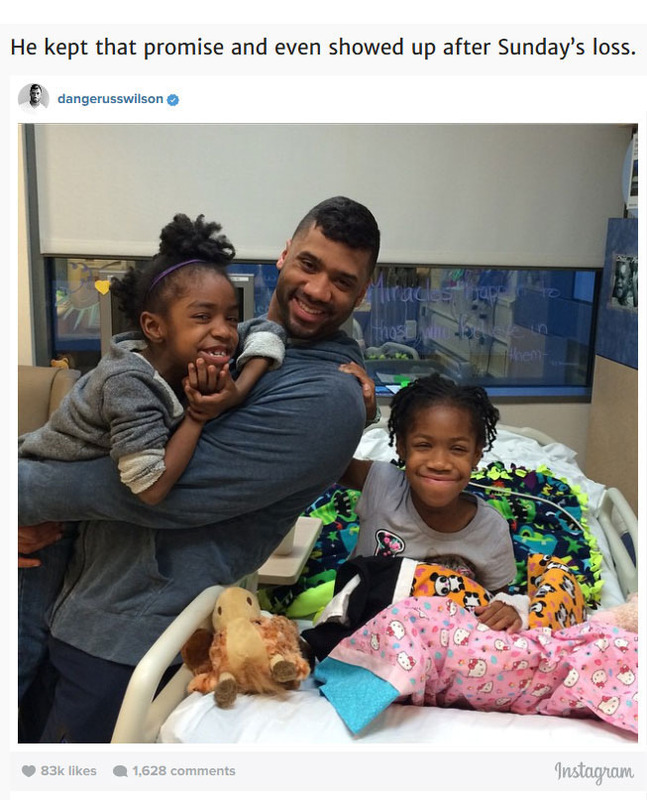 Instead of feeling sorry for himself and his team, Wilson made his way to the Seattle Children's Hospital to spread some cheer and it worked like a charm. 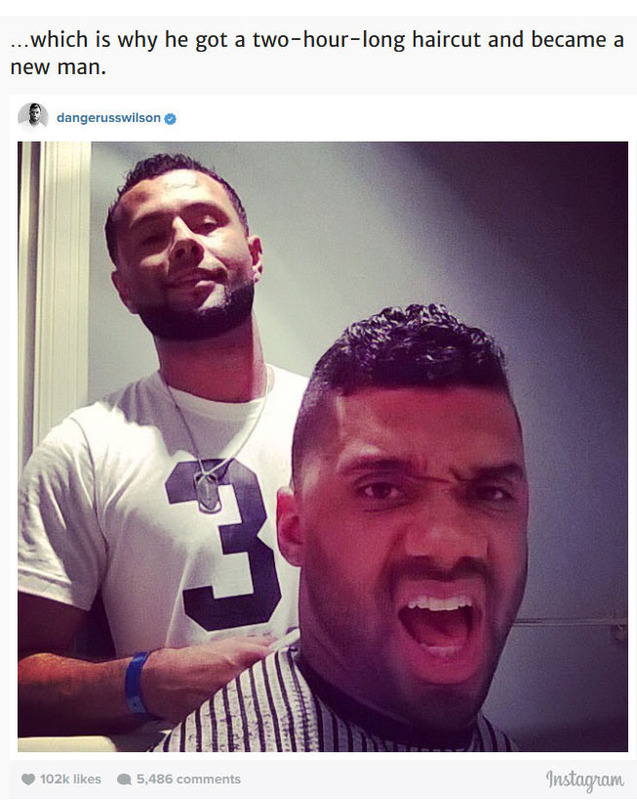 A two hour haircut? 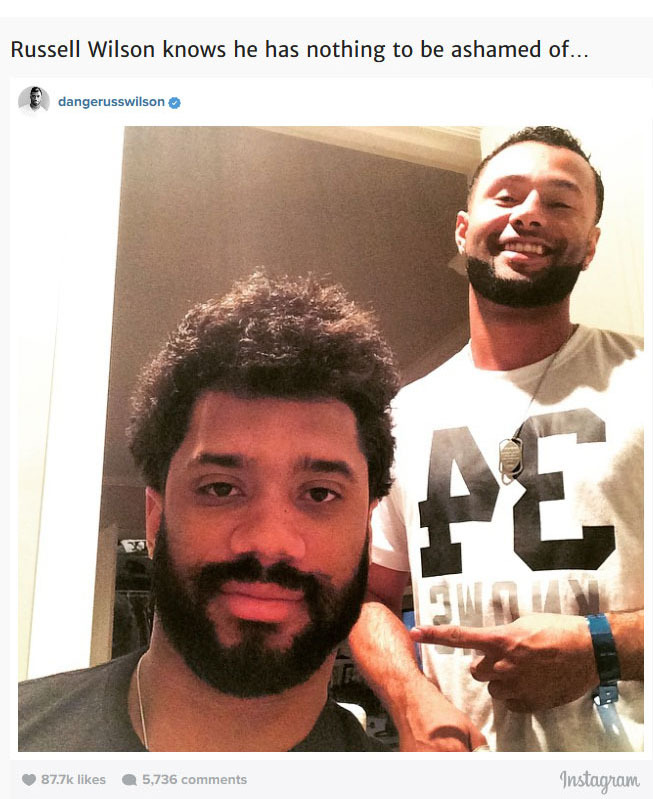 What did they do cut one hair at a time?